NetX, a leading digital asset management (DAM) platform, was built to be a centralized “Digital Hub.” It can be used as a repository for your valuable digital assets or seamlessly sync with any work-in-progress project or other custom workflows. The technology philosophy behind NetX is based on open standards, and the app is built to be as flexible as possible with the ability to integrate into a wide variety of technology environments. 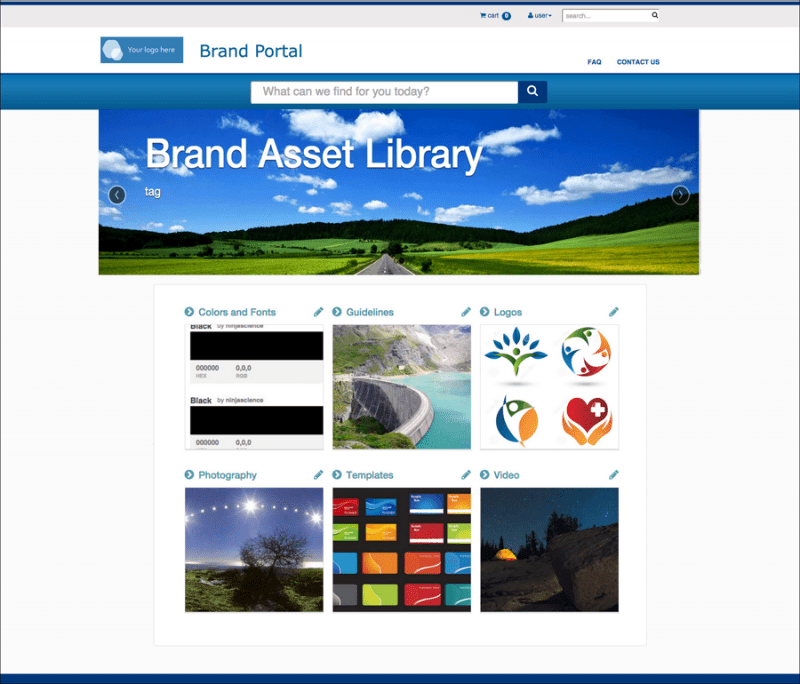 Both the “power user” interface and the self-service “brand portal” are not only feature a modern, intuitive design, but are both based on HTML5. This allows NetX to offer fast performance, responsive design and makes the interfaces easy to customize. The NetX architecture features lightning fast search, automatic indexing, saved searches, granular targeting, faceted search (search within results), and a highly optimized search engine core. With a highly optimized index for embedded and external asset data, the search engine is embedded directly within the application. Administrators have control over a range of parameters for managing search to fit the needs of any organization. For rich media formats such as video, NetX allows you to “see” and interact with your asset file from within the user experience, generating keyframe images, and “proxy” videos for previews and playbacks. NetX now supports the Open Source Media Framework video player; so video playback is now available on just about any video-capable device, including tablets and mobile. NetX offers many options for automated, rule-based, and ad hoc distribution of assets. For enterprise teams, DAM means publishing, collaborating, sharing and syndicating … not simply the “Cold Storage” of files. With a full Web Services API, assets stored in the NetX platform can go literally anywhere, controlled by your own permissions, triggers and parameters as necessary. NetX has been built from the ground up with an open and scalable architecture. System integration, outbound publishing, security, data management and web services are common requirements with every NetX deployment, whether Saas or On-Premise. A Services Oriented Architecture (SOA) enables integration with just about any modern application — E-commerce, CMS, ERP, CRM, production databases, Adobe Creative Suite — you name it, in most cases NetX can integrate with it via a full Web Services API. NetX is available in a wide variety of deployment options including on-premise, SaaS (Software-as-a-Service, also known as Cloud) hosted by NetX or SaaS hosted by a third-party (i.e. Amazon, Rackspace). It can also be deployed in a hybrid configuration with an on-premise system for managing work-in-progress assets, and a cloud system for quickly delivering assets anywhere in the world. Contact us to learn more about NetX.